Sara is one of the two children Saif has with Amrita, from whom he separated in 2004. 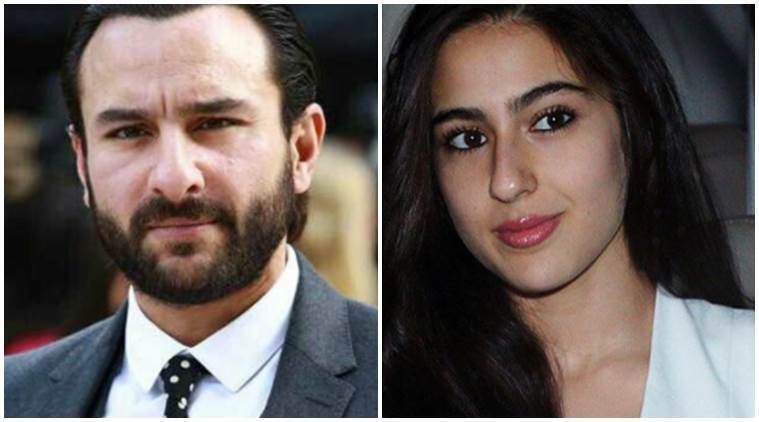 MUMBAI: Actor Saif Ali Khan says he is "fully supportive" of his daughter Sara's acting ambitions. He has clarified that rumours suggesting that he and his former wife Amrita Singh are on different pages regarding the issue, are "fictitious". Saif said in a statement on Wednesday that "it's annoying to read totally fictitious media reports" about him having a disagreement with Amrita over Sara's debut. "Amrita and me are on the same page as far as Sara and her acting debut is concerned. We never had any such conversation. I am fully supportive of Sara's acting ambitions and we discuss things in detail. "I repeat, that I am looking forward to Sara's debut with a mix of excitement, anxiety and nervousness like any other father would," Saif added, adding that he is upset at the "increasing lack of accountability and responsible reporting these days". There's still no clarity about which film will mark Sara's foray into the film world. Sara is one of the two children Saif has with Amrita, from whom he separated in 2004. He also has a son named Ibrahim. Saif is now married to Kareena Kapoor Khan, with whom he has son Taimur Ali Khan.